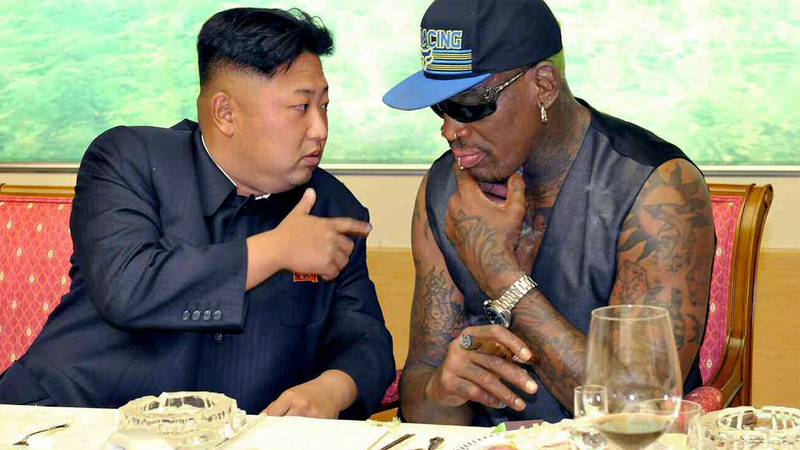 In an interview with Good Morning Britain on Wednesday, Dennis Rodman, 5x NBA Champion with the Chicago Bulls and Detroit Pistons, said he would like to “straighten things out” between President Donald Trump and his karaoke buddy the Supreme Leader of the Democratic People’s Republic of Korea, Kim Jong-un. “For me to go over there and see (Kim) as much as I have, I basically hang out with him all the time. We laugh, we sing karaoke, we do a lot of cool things together. We ride horses, we hang out, we go skiing, we hardly ever talk politics and that’s the good thing,” Rodman said. Dennis Rodman may one day save us from a nuclear war.